On Getting Pulled Over At Night While Armed – Very Armed | Eagle Gun Range Inc.
A couple of months ago I was on my way home from the outdoor range after an afternoon of training and then a nighttime, no-light rifle class. It was about 9 or 9:30 pm and I was headed down Main street in Flower Mound, which was still quite busy with traffic. As I neared Lewisville, the posted speed limit changed from 45 to 40 MPH, which on that night I neither noticed nor remembered. As it was a weeknight, I guess I was anxious to get home, eat, and get to bed. My first clue that I was speeding was the telltale flashing lights in my rearview mirror. Ugh! You dummy! I signaled and changed to the far right lane and looked for a likely place to pull off the road. As I had to drive about half of a block before pulling off of the street, I went ahead and fished for my insurance card in the console so that I wouldn’t have to rummage through any compartments while the officer was at my door (thereby making the officer nervous). It struck me then that I had a truck full of rifles and pistols and a lot of ammo. I was of course carrying my Glock 19 pistol and had a spare G19 in my range bag, with about 250 rounds of 9mm ammo left. I also had my Glock 43 holstered in my right front pocket. 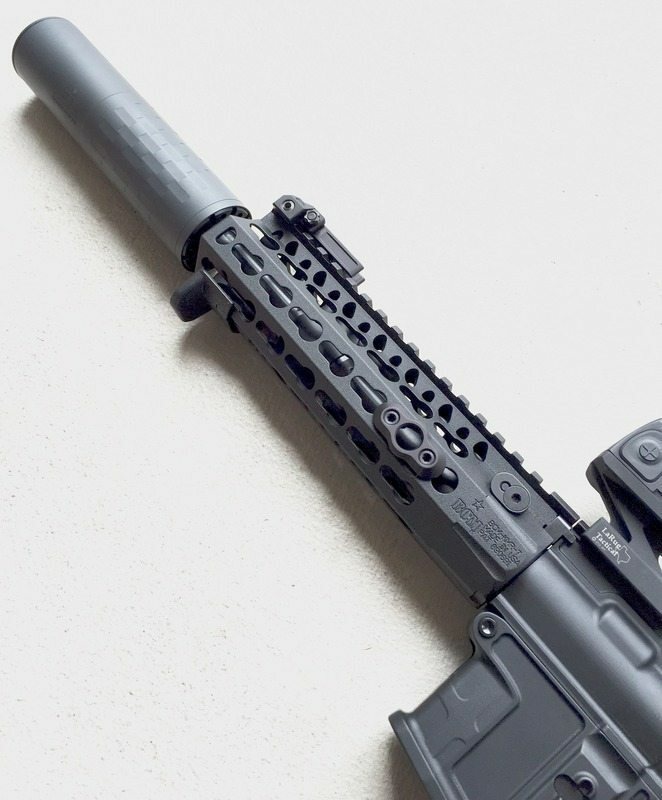 I also had my go-everywhere-with-me truck gun—a .300BLK SBR rifle—along with two other rifles that I had been testing out after some parts replacements; my M5 .308 and my lightweight 5.56 AR-15. As for rifle ammo, I had about 500 rounds of .300BLK, 450 rounds of .308 and 450 rounds of 5.56. All told, that’s almost 1700 rounds of ammo and a trove of weapons in the front and back seats of my truck. And I’m about to be pulled over. At night. This’ll be fun, I thought. The street was lined with businesses, but not all the parking areas were well lit. My first job was to try and make the best of this bad situation and pick a pull-over spot that would not make the officer behind me feel any more nervous than he already would be when making a traffic stop at night. I needed to choose a well-lit area that was neither remote nor too busy with car traffic. I picked a lighted convenience store gas station parking lot and stopped on the perimeter, away from the parked cars and pedestrians. The police car followed and after stopping I turned on the dome light and rolled down my driver-side window. 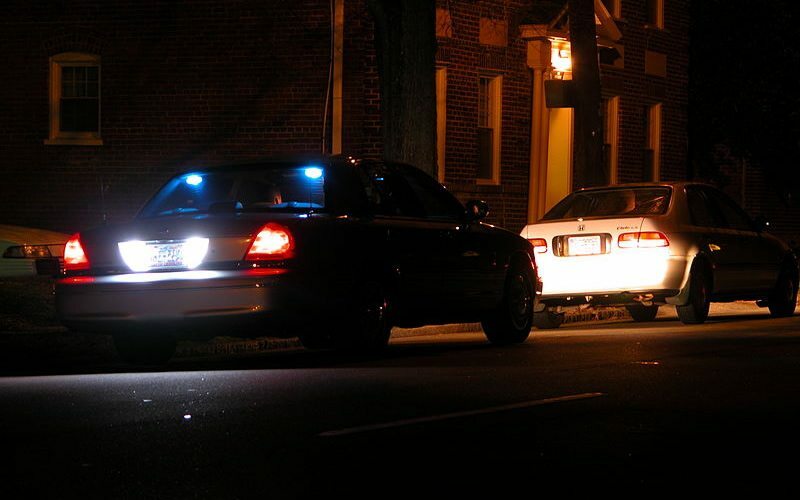 Walking up on a dark car at night is no fun for any law enforcement officer. By lighting the interior of my SUV, it offered some comfort for the officer and demonstrated that I was not trying to hide anything or anyone inside. Next, I placed my hands on the steering wheel at 11 and 1 o’clock, with my fingers spread wide. This made my hands highly visible and demonstrated that I was holding nothing in them. I waited. The officer approached my side, staying very close to the vehicle and doubtless scanning the interior of my SUV. He stopped behind my door so that I could just see part of his face when I turned to look out of my window. “Right here in front, on my waist.” I completely forgot about the one in my front pocket. “Thanks.” I arched my back up and slowly moved to retrieve my wallet, keeping my left hand on the steering wheel. Wallet in hand, I fished out my driver’s license and LTC card and handed them to the officer (in Texas you are required to offer both if you have both). He thanked me and looked at them for a moment, then handed my LTC card back. “Oh, also, I’m on my way home from a rifle class!” It occurred to me that this looks pretty odd. “Ah, so you don’t normally roll around Flower Mound with a bunch of guns on a regular basis?” He asked half in jest. “Okay.” He asked me if I had any outstanding warrants. I assured him I did not. He then asked me to wait as he went back to his patrol car to run my license. When he returned, he thanked me for my patience and handed my license back to me. Then he got conversational about the rifles. He asked what brands and models they were. I explained what each one was and that I had built them all. He told me he was building an AR-15, too, starting with a BCM upper and lower, and that this was to be his first time to build an AR. So we chatted very briefly about that. I thanked him and assured him I would. And that was that. I did not receive a ticket. My having a truck full of guns and ammo, and even being armed, did not seem to alarm him. He made calm, reasonable inquiries and I gave matter-of-fact answers. It all worked out well. I’m sure that my initial choices for a comforting stopping location, turning on the dome light, displaying my empty hands, explaining that I had to move my hand to the rear of my body (before just doing it) all worked to create a more comforting and friendly context for the Sergeant to do his job. Whether it was that, or the fellow gun-guy affinity, or just that he was not interested in ticketing someone if he didn’t have to that allowed me to escape a speeding ticket, I will never know. But I believe that we both did a good job making the best of an otherwise unpleasant situation (that I caused). I hope that if you ever get pulled over at night while armed that you consider making similar good choices. It will likely be best for both you and the attending officer. Image above by Ildar Sagdeje. Andy, I had the exact same thing happen to me (except in the daytime) in Corinth about a year and a half ago. I only had 3 guns in the car though; my primary carry 1911 on my right hip, the backup .380 ACP in my pocket, and the 9mm in my truck center console. The police Sgt. (and I addressed him as “Sgt.” instead of officer (he earned that rank) handled me about the same as you describe your experience below and I did not get a ticket. While I won’t go so far to say that an LTC is a “get-out-of-jail-free card”; polite discourse, respect for the officer’s safety and authority, and being a documented good citizen certainly helps.